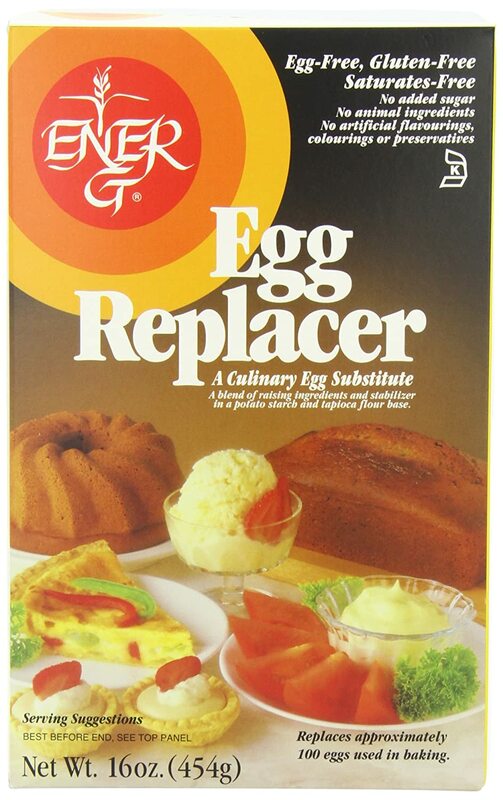 Used strictly for baking, not only is ener-g egg replacer 100 percent egg-free (contains no eggs nor animal protein), it is also gluten-free, wheat-free, casein-free, dairy-free, yeast-free, soy-free, tree nut-free, peanut-free, sodium-free, cholesterol-free and it's low in protein. 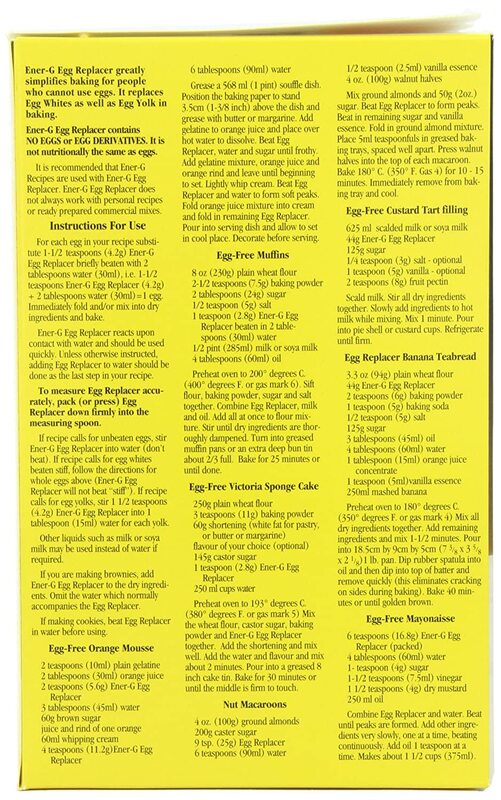 It mimics what eggs do in baking recipes so it's perfect for people who cannot have eggs, replacing whole eggs, egg whites and egg yolks in baking. 16 Ounces is equivalent to approximately 100 eggs. Also available in a 50 pound bulk package. Potato Starch, tapioca starch flour, leavening (calcium lactate [not derived from dairy], calcium carbonate, citric acid), sodium carboxymethylcellulose, methylcellulose.